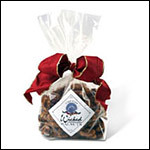 Wicked Walnuts are an incredibly delicious blend of walnuts, cranberries, spices and just possibly a little sugar all roasted together. 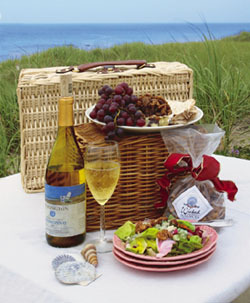 Susan Piccione of Cape Cod may have created the perfect treat. The only drawback is that once you try them, you will keep coming back for more. 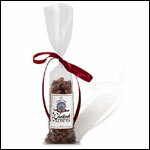 This 2 ounce size is perfect as a corporate gift, wedding favor or door prize. It can also be a stocking stuffer. Customers say Wicked Walnuts are delicious on salad, ice cream or baked brie. In small mixing bowl stir together brown sugar, Wicked Walnuts and water. Place brie on ovenproof platter. Bake in a 400° oven 5 to 7 minutes until cheese is slightly softened. Spoon Wicked Walnut mixture on top. Bake 5 to 6 more minutes until sugar is melted and cheese is heated through, but not totally melted.